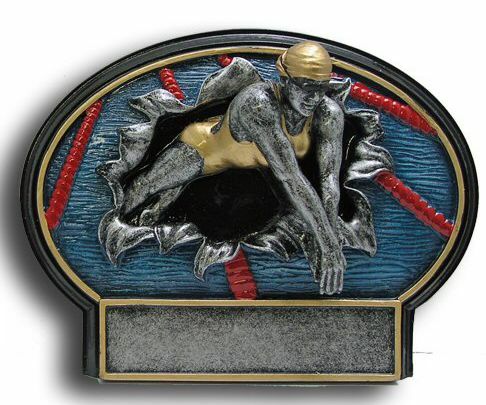 Exciting looking resin plaque that is sure to make a great lasting impression at your next award ceremony. 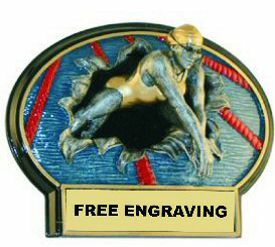 The swimmer looks like she is literally bursting out with an exciting 3-D effect. Hang this resin on a wall or with the threaded stand you can display it on any flat surface.